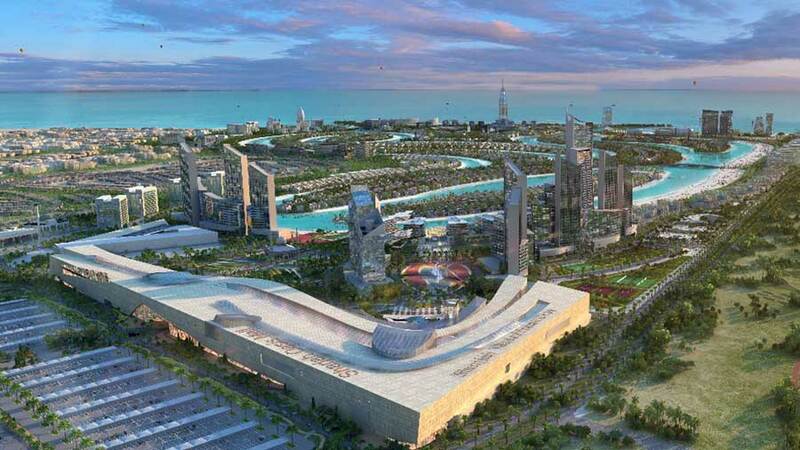 Spread across 60 million square feet of pristine waterfront land an ideal hideout for residents and tourists. 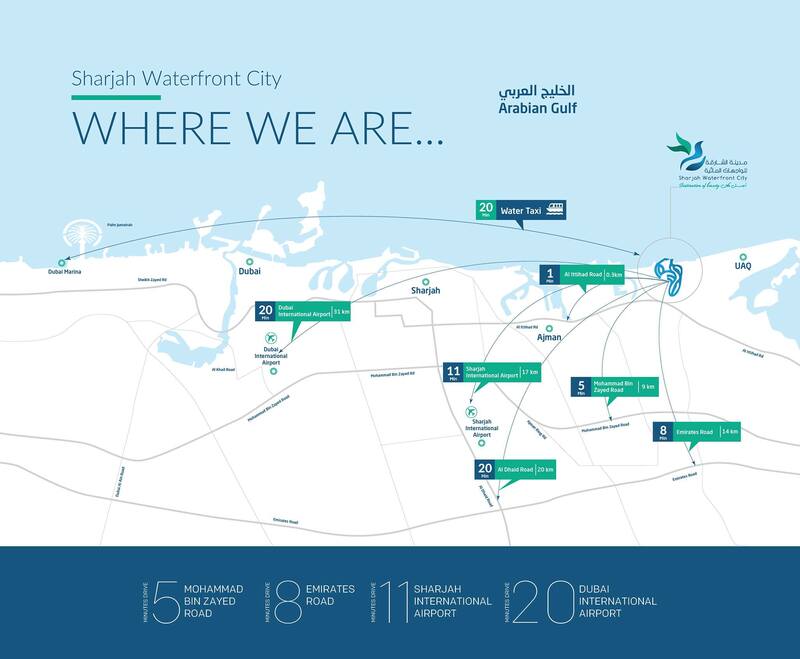 Like a precious pearl; Sharjah Waterfront City is a city-withina- city with integrated facilities where people could live, work, shop, dine and enjoy the best life in a contemporary designed luxurious living surroundings. 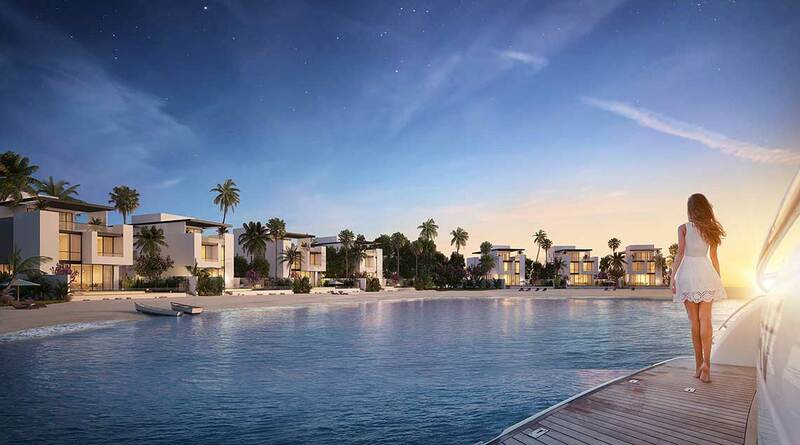 The largest mixed-use master-planned waterfront community in the Northern Emirates that creates a massive economic opportunity for developers, investors, buyers and businesses. Once developed, Sharjah Waterfront City will be a vibrant community of 60,000 people living in 1,500 villas and townhouses, 95 high-rise residential and commercial towers, (multi shopping malls and compound elegant offices), a water theme park all spread across eight islands and a marina with a capacity of 800 yachts. A pollution-free city, the community will be blessed with world-class facilities for high-standard living. With its beautiful beaches, moderate year-long weather, leisure and shopping opportunities, Sharjah Waterfront City presents itself as a complete and attractive holiday destination. 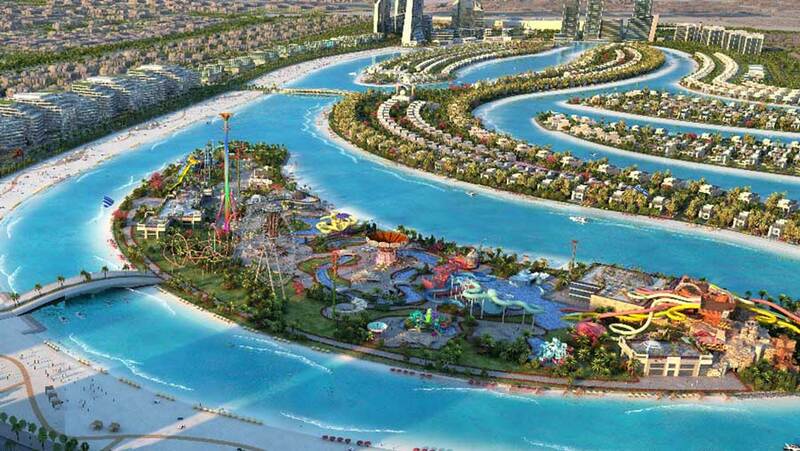 Sharjah Waterfront City is a series of eight islands interconnected by natural canals spread across 36 kilometers of coastal land on the northeastern coast of Sharjah where crystal clear blue fresh waters of the Gulf flow every 12 hours along the high and low tides. As the city was designed by one of the biggest most experienced companies in the world. Sixty per cent area of the city will be landscaped with gardens, parks, and landscaped roads surrounded by natural green plains and flower beds. All Sharjah City Waterfront details are in line with international standards to remain environmentally friendly and apply the best practices in the development and construction of green buildings that reduce the total carbon footprint of the project. The entire area of the city includes gardens, landscapes, green and blue areas with 60% of the project’s space, so you can see the beauty around you wherever you look. Real estate is about location, location and location. Sharjah Waterfront City, located on the Arabian Gulf coastline in the middle of the seven UAE emirates like a precious diamond at the center of a necklace, providing an ideal setting for the new urban development in the Northern emirate combining residential, recreational and commercial facilities to present a perfect destination for living, working, recreation and to become a new economic hub as well. Easily accessible from three airports Dubai International, Sharjah International and Ras Al Khaimah which is through Al Ittihad Road, Mohammed Bin Zayed Road and Emirates Road (by pass) Sharjah Waterfront City is also close to five major ports Hamriyah, Ajman, Umm Al Quwain, Ras Al Khaimah and Port of Fujairah. Sharjah Waterfront City is a destination of distinction, designed to enrich the lives of its residents and visitors alike. 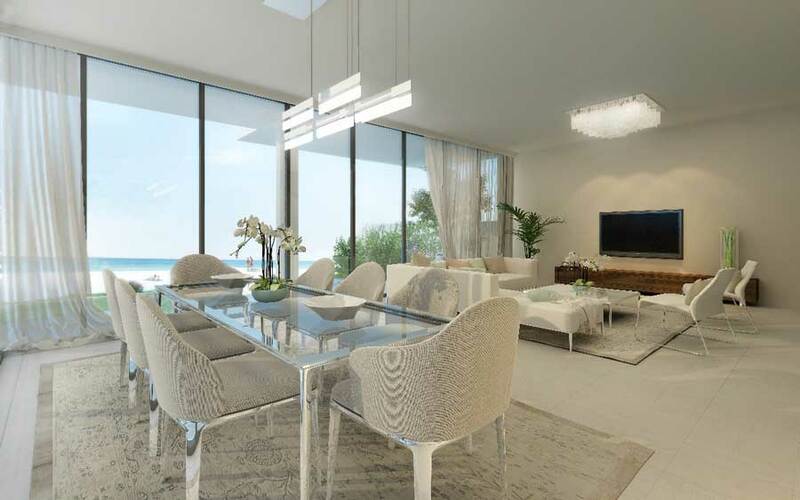 Offering a climate of privacy while enjoying stunning beach views. 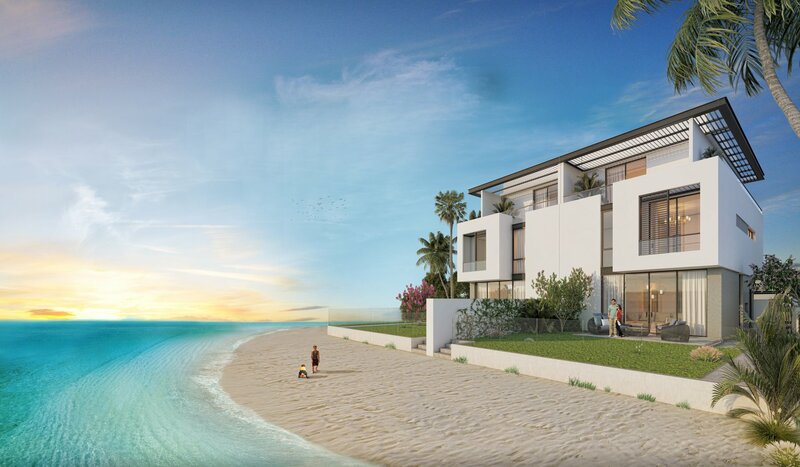 The views outside the villas and apartments are a combination of open and verdant beaches stretching to form a beauty verse that captures its splendor with 40% of the project area, as 60% of the area is landscaped with green beaches, green gardens and service areas, ensuring the building of a healthy and respectful society. Sharjah Waterfront has adopted international standards for green buildings, reducing energy use and reducing the overall carbon footprint of the project. This reflects positively on the comfort of the residents and visitors. At Sharjah Waterfront City, life will never be the same again. It changes the way one looks at things, searching for exquisiteness, sophistication and style.